The roof is removable to allow easy access for cleaning, for placing in bedding and removal of unwanted house guests ! The roof is clad in heavy duty green mineral felt and overhangs all round for total weatherproofing. I am absolutely delighted with the cat house and so is my cat; he loves it!The workmanship is superior and high quality materials have been used throughout making it excellent value for money!It's certainly the best cat house I've ever seen and I would therefore recommend their products and their friendly service to anyone.So, what are you waiting for - purchase one now - you won't b..
Thankyou. 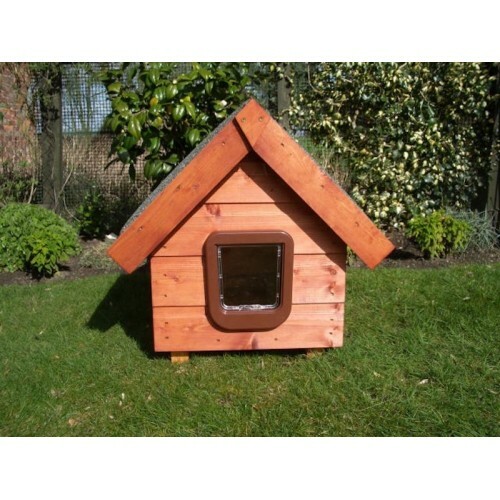 We are delighted with the cat house. It looks great and is made expertly. .. 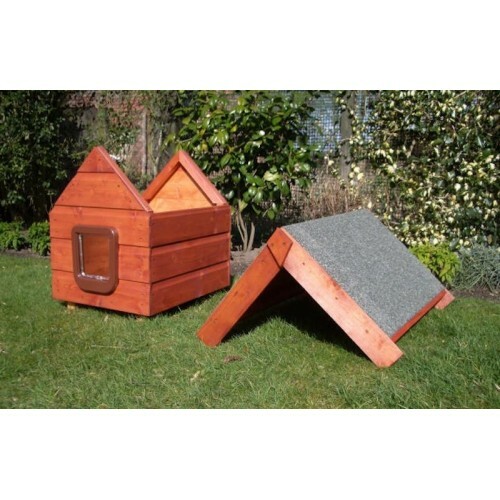 Luxury outdoor cat house thats a large warm weatherproof shelter for your cats, beautiful outside ca.. 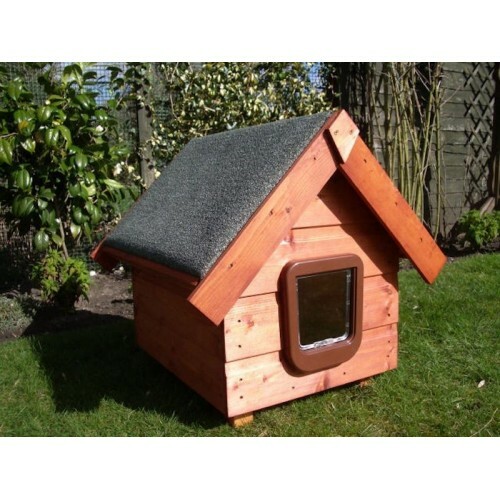 Outdoor luxury cat house thats a warm dry refuge or daily living space for your cat, is easy to clea..
Large outdoor cat house thats a warm dry refuge or daily living space for your cats, practical and l..
Large outdoor cat house thats a warm dry weatherproof living space for your cat, practical and.. 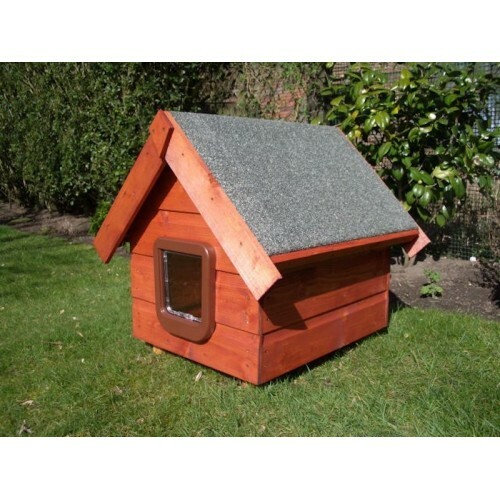 Outdoor cat house thats a warm dry refuge or daily kennel for your cats easy clean and looks great o..